GRAPEFRUITCRAZY: Just how useful are restaurant review sites when it comes to finding a good curry? Just how useful are restaurant review sites when it comes to finding a good curry? Just how useful are restaurant review sites? Human nature being what it is you are more likely to contribute to a website if you’ve had a rubbish meal rather than a reasonable one. Whatever the verdict the evaluations can be years old, during which time the restaurant could have improved or deteriorated. Serious criticism may have prompted a change in the practices previously objected to. 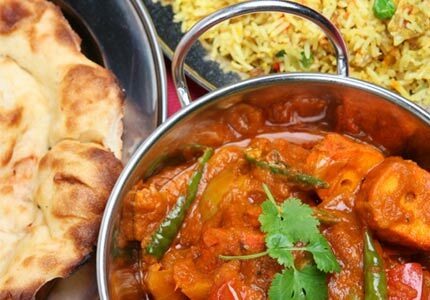 You don’t have to be much of a gourmet, for example, to visit a top London curry restaurant – say, Benares, Bombay Brasserie, or The Cinnamon Club – spend a small fortune and have a great meal. But in these straitened times value for money is an important factor in choosing where to eat. This is where review sites should make their mark always given that there is no substitute for the personal recommendation of family or friends. This is how I came first to the Punjab restaurant – a North Indian specialist for more than 60 years – in London’s Covent Garden. I have dined there on average once a year for the last fifteen. It was coincidence that brought me back to the Punjab yesterday for a family celebration at the start of what proved to be National Curry Week. Once again it was an altogether excellent experience in terms of food and service and - given the area - not excessively expensive. But Googling reviews today the restaurant gets a mixed reception at best on some sites. I absolve TripAdvisor – which sets the standard for such enterprises – from this observation. The volume of usually up-to-date reviews allows readers to form their own judgements. For the rest of the species I tend to mistrust extreme responses. I wonder if rave reviews are rigged and whether damning ones are the product of people who are either impossible to please – or else malicious rivals. By the way according to TripAdvisor the Punjab comes out pretty well.